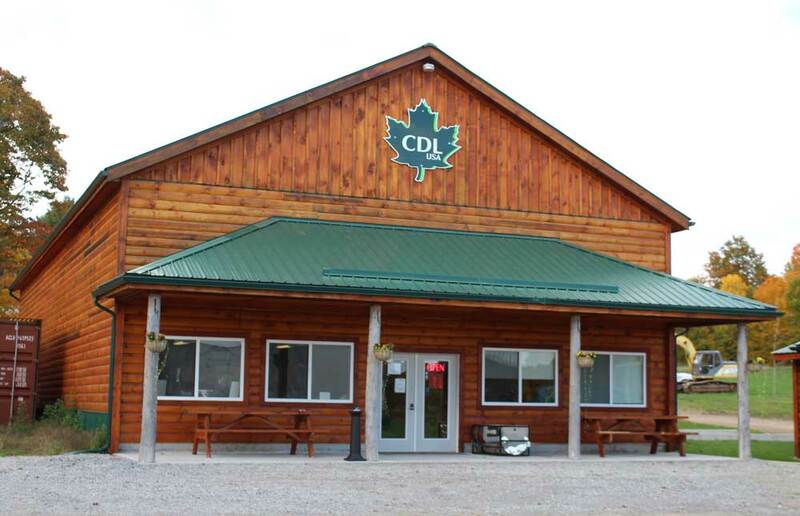 We buy and sell bulk maple syrup from our secure, climate-controlled warehouse in the old barn. If you are a maple producer who makes more syrup than you can sell on the retail market or a retail maple seller who sells more than you can make, we can meet your needs! Our prices are competitive on the commodity market and we carry a large selection of all grades year round. By partnering with bulk buyers across the Northeast, we are able to get the best deals for our local producers. We buy bulk maple syrup year-round, but the buying season is always just after the maple season (usually mid-May through June). 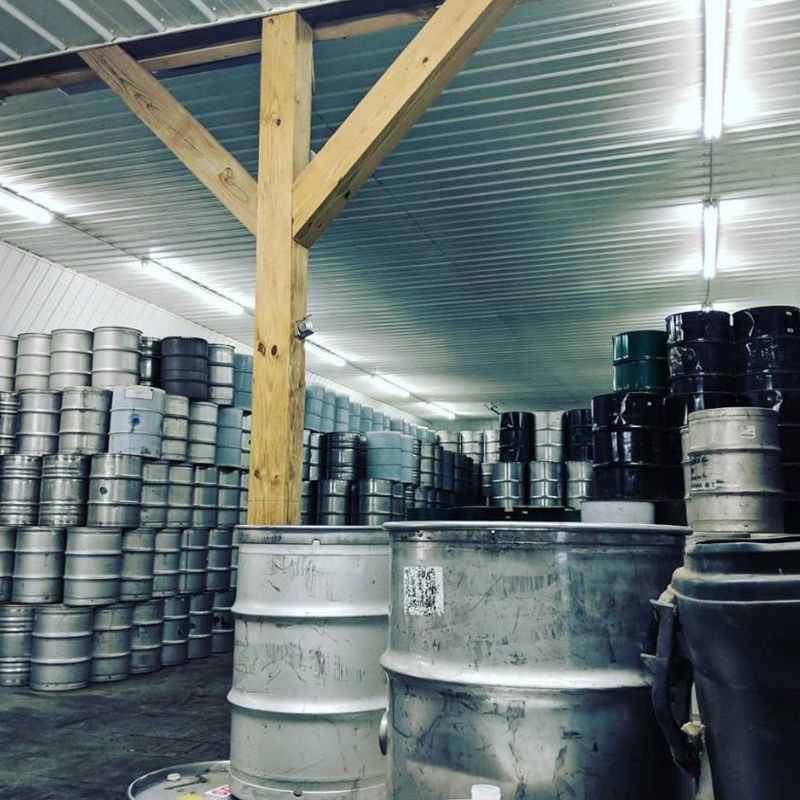 Our renovated barn makes selling your bulk syrup convenient with easy drop-off through the garage doors or via the loading dock, using our forklift for barrel handling. 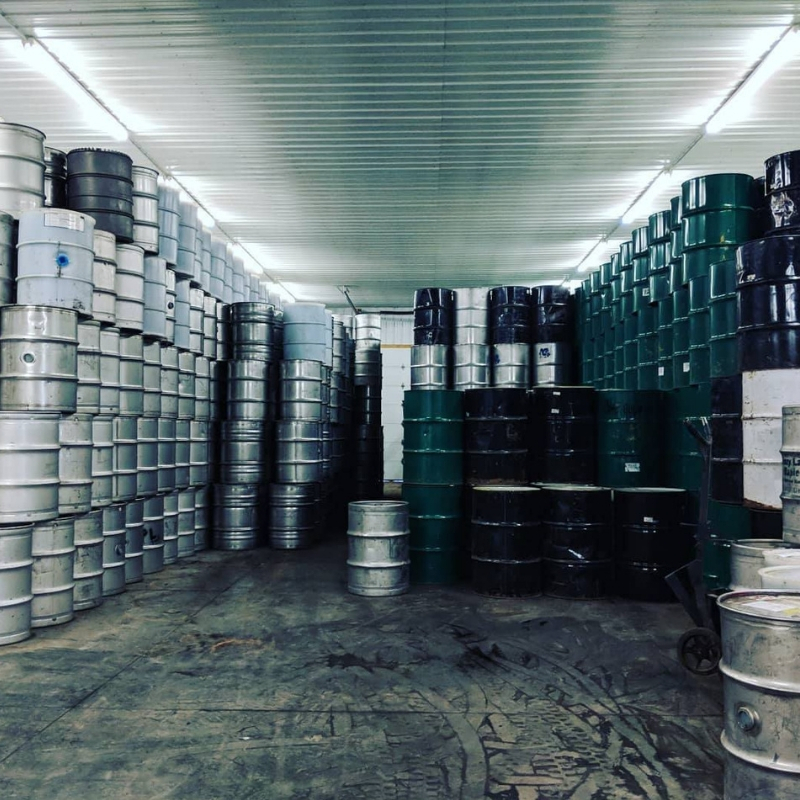 As soon as we unload your syrup, each barrel will be weighed on our inspected and certified scales, then tested with you present to ensure a fair deal. Each barrel must be opened to test for syrup grade, taste and density. State-of-the-art equipment is used to check syrup grade by light transmittance and density by refractometer, if in question. Once your syrup has been weighed and graded, we will provide payment to you immediately, keeping it quick and easy to get money for your crop. 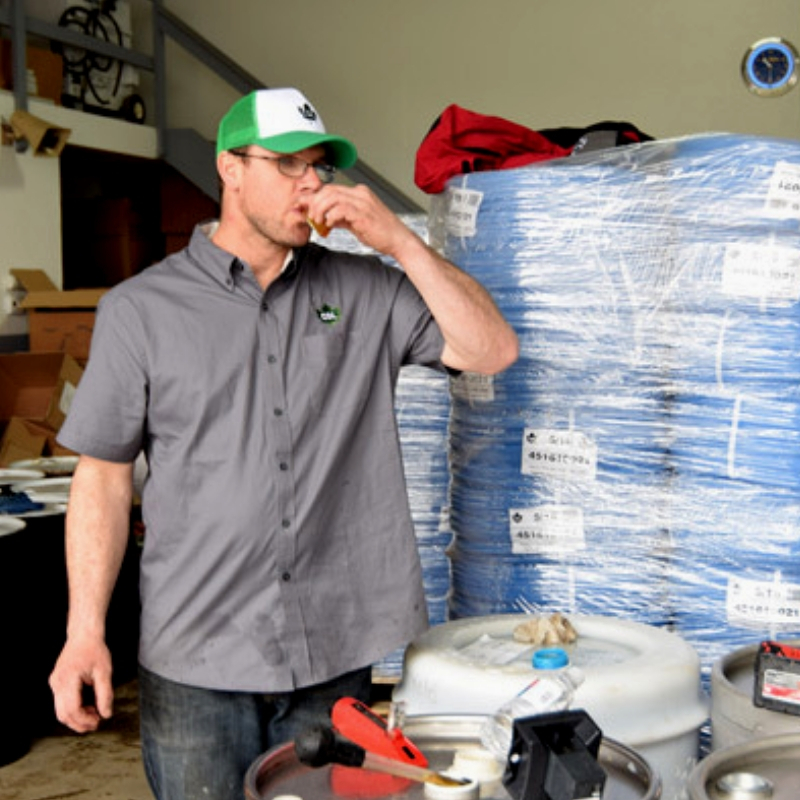 We do ask that producers abide by a few rules to comply with industry standards. 1. Container Quality – All containers for bulk maple syrup storage must be approved food-safe material and not previously used for any other purpose. Stainless steel or apoxy-lined steel drums are preferred. Any containers less than 15 gal. size will be emptied into a bulk drum at our facility upon buying and returned to producer. 2. Producer Labelling - Syrup producers are responsible for clearly marking their own barrels to ensure that they are easy to find once the empty barrel is returned for pick up. We recommend a bold, colorful stencil placed on the top end of the barrel for best visibility. Stickers or sharpie writing often becomes removed in the handling and washing process. 3. Syrup Grading - Maple syrup grade is determined by light transmittance. If grade is in question, we can utilize a light transmittance kit to ensure accuracy. 4. Syrup Quality - Despite color, any maple syrup may be deemed “Processing” (a.k.a. Commercial) Grade if there are off-flavors or other issues present, such as unfiltered material or visible mold in syrup. Off-flavors often include buddy, sour, fermented or burnt taste to the syrup. Processing grade is the lowest grade of bulk maple syrup and subject to much lower value in price. With our quality control measures and wide selection of grades and sizes, we make it simple to get the syrup you need to meet customer demand. Whether you are a large operation that packs and sells syrup to stores on the wholesale market or a restaurant or food-processor who would like to utilize real maple syrup in your recipes, we are here to help. Depending on your needs, we can also set up delivery to your location with our own tractor trailers or arrange commercial freight at a low cost. There’s nothing quite like real, pure maple syrup and we take great pride in providing the best for our customers near and far. To get current pricing and set up delivery or pick up of bulk maple syrup, call us at 518-493-6761 or email at sales@parkerfamilymaple.com. We ask that you contact us to schedule bulk syrup selling and buying, especially in the busy season of May-June. All requests will be handled promptly. Scheduling will ensure you are not waiting in a line for hours during the busy time and ensure that qualified staff are here to assist you in the off season. Emptied, clean barrels will be deposited in rows behind our barn as they come back from the buyers. better track the location of your barrels.